Beautiful Sunset Shores only a few steps to the white sand of Sunset Beach and a very short drive to Howard Park. Enjoy all the community features - swimming pool, clubhouse, exercise room, tennis courts and a boardwalk to watch the beautiful sunsets, catch a glimpse of the dolphins or just enjoy some fishing. Swimming pool overlooks the Gulf of Mexico. 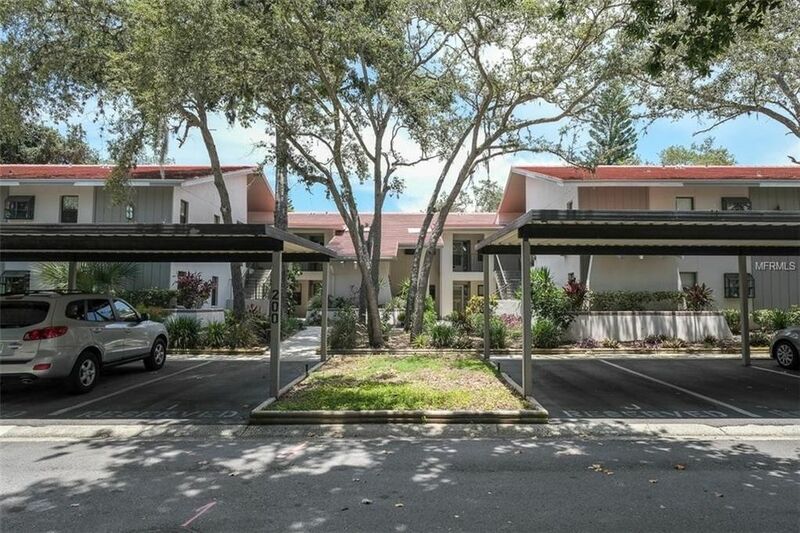 This two bedroom two bath condo has been newly painted throughout. New carpet installed in the master bedroom and new vanity top and faucet in the guest bedroom. Unit also features washer/dryer inside the unit. Make this condo your home today so you can start enjoying your own piece of paradise. Directions: Going north on HWY 19 go west on Klosterman, turn north on Carlton Rd., west on Curlew Place and then north on Florida Ave. Property is on the west side of Florida Ave. Unit is building 200 Unit K. Second floor unit on the right side of the building.